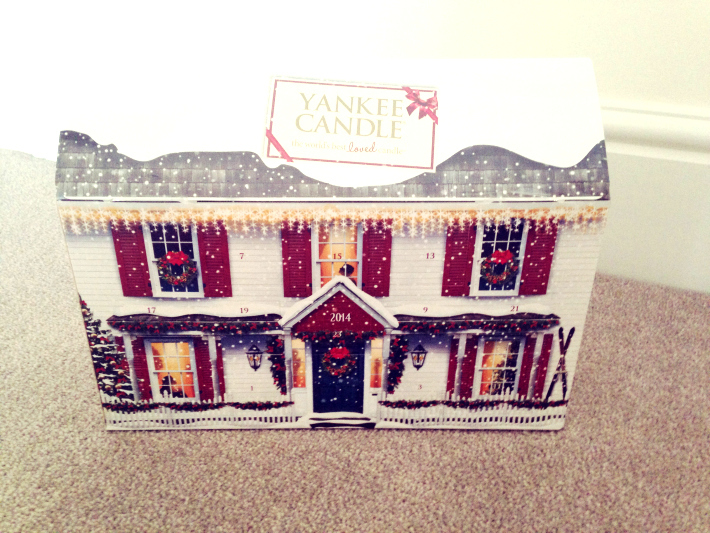 Yankee Candle have released a few advent calendars with tea lights to brighten up each and every day of the Christmas countdown. My lovely boyfriend bought me this because he knows how much I love nice smelling candles. I go a bit crazy in the Yankee Candle section in card shops - something he knows all too well. The scents in this advent calendar are typically Christmassy - Candy Cane Lane, Christmas Garland, Christmas Cookie, Sugared Apple, Christmas Memories, Spiced Orange and Snowflake Cookie. I opened the first door this morning; I think it was Sugared Apple but I'm currently suffering from a cold so I couldn't really tell with my blocked nose. Winter is officially here so I spent the morning with tea and biscuits, candle burning, listening to Christmas songs and surrounded by the Christmas tree and decorations.